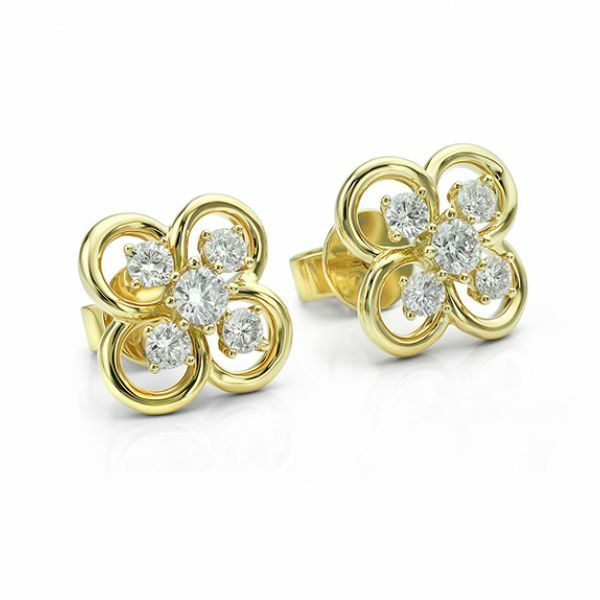 Blossom design diamond cluster earrings, crafted in 18ct Yellow Gold, featuring a five stone design, set with 0.61cts of round brilliant diamonds. Elegantly crafted in 18ct Yellow Gold, the Blossom Diamond cluster earrings feature a five Diamond arrangement within an interwoven petal design. Each Diamond is brilliantly cut, achieving H Colour and SI1 Clarity, and weighing an impressive 0.60ct in total. The central Diamond is held within an eight claw setting above four smaller Diamonds held within four claws. Your completed earrings will arrive beautifully boxed as shown, and this item is available for speedy delivery subject to availability. We also provide a complimentary pair of Lox secure earring backs, to give you added peace of mind with their extra secure design. 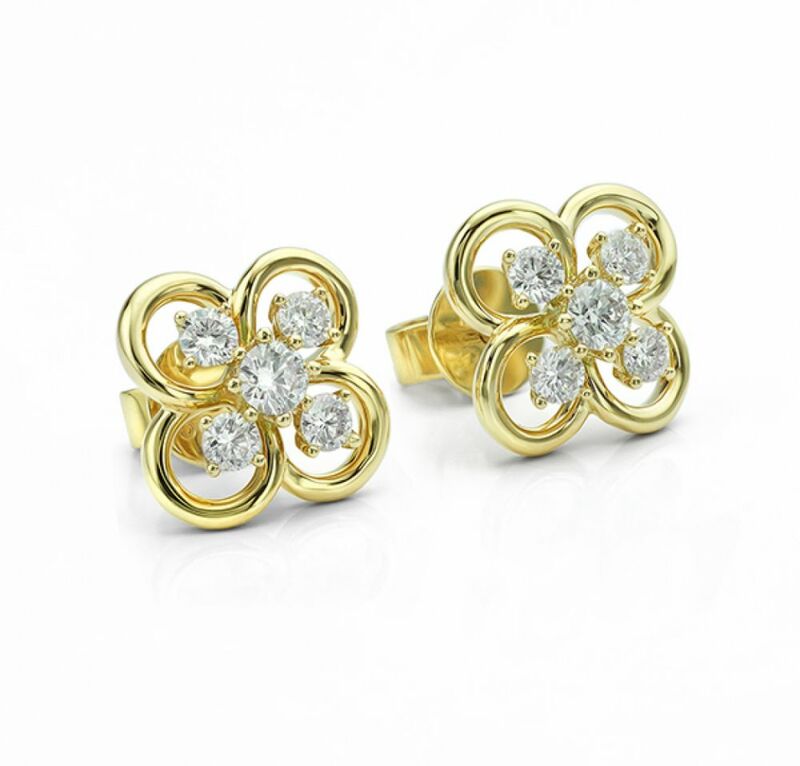 Beautifully boxed, the Blossom diamond earrings are crafted in luxurious 18ct Yellow Gold.